There is always an App for that! Mileage Expense Log is designed to help you quickly and easily keep track of expenses incurred as you use your vehicle. Use this application to keep accurate logs and generate summary reports. Now with Apple Watch support! Tired of other apps with recurring monthly fees? All MEL features are simple, upfront, pay once purchases. • Auto track mileage in the background, as you drive (requires device to have GPS enabled)*. • Sort by date, purpose, and/or vehicle. • Easy to read summaries. • Add additional expenses such as tolls & ferries. • Export database as HTML or CVS. 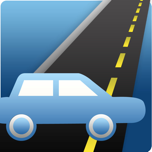 • Rate book for quick mileage rate reference. • iOS Device to device database transfer. • Designed for iOS 8. *Disclaimer: Continued use of GPS running in the background can dramatically decrease battery life.